With paternalistic attempts at planning our lives, the government takes away a choice that lets millions of people choose how to spend their own money to achieve their own purposes. Well, that didn’t work out so well. Despite $535 million in federal loan guarantees, Solyndra declared bankruptcy 16 months later. The idea of “green energy” — energy from natural, renewable sources such as sunlight, wind, and rain — has been a bright, shining dream of environmentalists for decades. Its viability always seems just over the horizon. Oh, you can find plenty of headlines like “Further Dramatic Fall in Price of Solar Energy Forecast for 2018” and “Renewable Energy Will Be Consistently Cheaper Than Fossil Fuels By 2020, Report Claims.” But here’s the thing: Those headlines and reports are usually produced by interested parties: environmentalist groups or industry associations or government agencies. They don’t hold up to scrutiny. The Clinch River Breeder Reactor was an experimental nuclear fission power project in Tennessee that cost taxpayers $1.7 billion — more than $4 billion in today’s dollars — before being abandoned in 1983. The Synthetic Fuels Corporation was created in 1980 to develop oil shale, tar sands, and coal gasification technologies to wean us off imported oil. Congress authorized $20 billion, but eventually it was closed in 1986 after spending “only” $2 billion. George W. Bush spent $1.2 billion on a fruitless effort to develop a hydrogen-powered car. Clean energy was a big part of the stimulus bill - about $90 billion. A “ginormous” clean energy package, said journalist Michael Grunwald. And as Obama’s factory visit demonstrated, Solyndra was a crown jewel. Heavily subsidized government projects don’t always fall apart as fast as Solyndra. But the president of the United States made it a centerpiece of his economic and environmental policies, so it’s worth a closer look. Solyndra was founded in 2005 to make solar photovoltaic systems for commercial rooftops. By 2009 it had $100 million in revenue and a market cap estimated at up to $2 billion in an anticipated IPO. In March of that year, it received a $535 million loan guarantee as part of the ARRA. It also received a $25.1 million tax break from California’s Alternative Energy and Advanced Transportation Financing Authority. Partly because of the rapidly declining cost of a competing solar technology, Solyndra announced it was filing for Chapter 11 on August 31, 2011. The family funds of Oklahoma billionaire George Kaiser, a big Obama fundraiser, owned a third of Solyndra. As the company was failing, Kaiser wrote to a Solyndra board member, “Why don’t you pursue your contacts with the WH?” Two months later the board member wrote Kaiser, “The DOE really thinks politically before it thinks economically.” Solyndra’s lobbyists met at least three times with an aide to top White House official Valerie Jarrett. By the way, on the same day that President Obama spoke at the Solyndra plant in California, an official of his administration participated in a groundbreaking ceremony for Nissan North America’s new advanced battery manufacturing facility in Smyrna, Tennessee, made possible by a $1.4 billion loan from unsuspecting taxpayers. In 2017, Nissan announced plans to sell that plant and its entire electric battery operations to GSR Capital, a Chinese firm partly funded by the government. The sale fell through in 2018, but Nissan is still looking for a buyer. The connections between government, politics, and energy go way back, of course. Coal in the 19th century, the oil depletion allowance, nuclear power, and the Price-Anderson Act — “clean energy” is certainly not the first industry to be entangled with government favoritism. Robert L. Bradley Jr. wrote 1,992 pages (not a typo) on Oil, Gas, and Government: The U.S. Experience. “The entire Democratic leadership in the House joined yesterday in warning the Reagan administration to keep its budget-cutting hands off the synthetic fuels subsidy program Congress created last year. Switching parties doesn’t seem to stop that process. Recently, Energy Secretary Rick Perry proposed subsidizing nuclear and coal plants, helping those fuel sources compete with cheaper natural gas. The plan was opposed by a broad coalition of the natural gas industry, renewable energy providers, environmentalists, and free-marketers, and was blocked by the Federal Energy Regulatory Commission. But in June, Bloomberg reported on a draft plan to “use emergency authority under two federal laws to order grid operators to buy electricity or generation capacity” from a list of coal and nuclear plants designated by the Department of Energy. Particularly in California, pricing and regulatory schemes have been set up to encourage the use of solar energy. Without price subsidies, consumer-generated solar power wouldn’t be viable. Large-scale solar generation and onshore wind generation might be competitive with natural gas. But it’s hard to store and transmit solar and wind energy, so we can’t replace conventional energy with them. The basic point is simple: If solar, wind, or other “renewable” energy sources were economically viable, companies would produce them at a profit. They wouldn’t need subsidies. Most proposals for government regulations and subsidies reflect a failure to understand Economics 101. The economic challenge is to use available resources — land, labor, capital, and ideas — to satisfy as many human needs as possible. But how do businesses or economic planners know what people need or want? This vitally important information about other people’s wants is embodied in prices. Prices don’t just tell us how much something costs at the store. The price system pulls together all the information available in the economy about what each person wants, how much he values it, and how it can best be produced. Prices make that information usable to both producer and consumer. Each price contains within it information about consumer demands and costs of production, ranging from the amount of labor needed to produce the item, to the cost of labor, to the bad weather on the other side of the world that is raising the price of the raw materials needed to produce the good. Instead of having to know all the details, one is presented with a simple number: the price. Market prices tell producers when something can’t be produced for less than what consumers will pay for it. If a product needs to be subsidized in order to be produced, that tells us that consumers don’t value it as much as other goods that could be produced with available resources. If solar power or aging coal plants need subsidies, that tells us that they’re not economically viable. If consumers don’t want to purchase the product, and thus lenders don’t want to give such firms money, then there’s no good reason to force the taxpayers to do so. Firms that receive subsidies become spendthrift. Nelson contrasted his firm’s lean operations with Solyndra’s spendthrift ways. He noted that the “most powerful driver in our industry is the relentless reduction in cost.” But government subsidies tend to inflate costs. Subsidies are not driven by market demands. Nelson noted that U.S. adoption of solar energy at the time lagged behind some other nations. But “this should not bother us if it means that the other countries are investing in technology that is not economically viable.” Put another way, just because other countries may be misallocating resources, does not mean that we should also. Subsidies distort business decisions. Nelson noted that “giving companies money to set up manufacturing in the U.S. may doom them to failure by financing them into a strategically uncompetitive position.” If subsidies induce U.S. firms to set up production in higher-cost places, it will ultimately disadvantage them in the global marketplace. Venture capitalists have already funded the best projects, leaving the dogs for the government. If venture capitalists “reject a project, it is difficult to believe that the government could do a better job of picking a winner,” argued Nelson. The argument for subsidies is that businesses are self-interested and short-sighted. Put the government in charge of handing out money, we’re told, and the decisions will be made by highly trained, public-spirited economists or lawyers, irrespective of political considerations. But the reality is that people are people. Government employees are just as self-interested as corporate employees. And therefore, they are susceptible to political influence, persuasion by interested parties, outright bribes, and personal preferences. The argument for keeping more of society in the private sector is not that there’s no self-interest or corruption in business; it is that the market system has more competition, more checks and balances, and more incentives to satisfy customers. As Adam Smith suggested with his “invisible hand” metaphor, the competitive market system channels self-interest in a socially beneficial way - into the search for ways to attract customers - while the non-market system actually encourages unrestrained self-interest. The kind of promiscuous spending that has delivered us $21 trillion in national debt. If you want government to guide the economy, to pick winners and losers, to override market investment decisions, then this is what you want. Finally, we should just note that when government takes our money to subsidize one business or industry over another, it takes away our freedom. Most of us spend most of our waking hours trying to make money to give our families a better life. If that hard-earned money is taken away from us by force, it should be for some clear public good. Bailing out no-longer-profitable coal plants or never-yet-profitable wind and solar projects is not good enough. Exactly. With paternalistic attempts at planning our lives, the government takes away a choice that lets millions of people choose how to spend their own money to achieve their own purposes. But the big change for Burton-Parsons came in the late 1960s, when it entered the burgeoning soft contact lens market — not the lenses themselves, but the solution used to clean them. And that’s where things took an interesting turn. Up until 1974, consumers could purify their contact lenses by boiling them for 10 minutes in distilled water with salt tablets. But that year an Food and Drug Administration microbiologist named Mary Bruch — known as “the first lady of contact lenses” — gained oversight of that product. Bolstered by FDA ophthalmologist Arnauld Scafidi, Bruch started disallowing soft lens manufacturers from utilizing salt tablets, decreeing that consumers risked eye infection. The only cleaning solution she approved was made by Burton-Parsons, which by then was headquartered in Seat Pleasant, Md., and owned by the Manfuso family, which also owned horse-racing tracks around the state. Its product — Boil-n-Soak — cost four times as much as the simple salt tablets. Scafidi was unable to provide research to substantiate his claims that salt tablets were unsafe. In 1974, Burton-Parsons had annual sales of about $5 million. In 1979, after five years of a near monopoly, it was sold to Alcon Laboratories, a subsidiary of Nestle S.A. of Switzerland, for $110 million, according to industry estimates. Bruch and Scafidi were investigated by the FBI for the favors they allegedly gave the firm. Scafidi resigned, and Bruch was fired. More on rent-seeking, crony capitalism, and lobbying regulators. In the summer of 1982, after the Cato Institute’s week-long seminar at Dartmouth, I drove to Boston with one of the other attendees. Touring the city, we encountered a protest rally on Boston Common. I don’t remember just what the rally was about – probably the “nuclear freeze” or a general protest against nuclear weapons, which was a strong movement then. As we watched, a young woman approached and handed us flyers calling for socialism. “Like in Russia and China?” I asked her. Unwilling to defend those disastrous results, she responded “We’re more interested in the experiments currently going on in Zimbabwe and Nicaragua.” I knew very little about those “experiments” and had nothing much to say. I was reminded of something very candid that the socialist economist Robert Heilbroner wrote: that socialism depends on central planning and a collective moral commitment and thus on command and obedience to the plan. And that means that “The rights of individuals to their Millian liberties [are] directly opposed to the basic social commitment to a deliberately embraced collective moral goal… Under socialism, every dissenting voice raises a threat similar to that raised under a democracy by those who preach antidemocracy.” Democratic liberties like free speech and free press are an inherent threat to the planners’ control. And of course Zimbabwe suffered for some 37 years under the increasingly authoritarian rule of Robert Mugabe, which may or may not have changed with Mugabe’s replacement by his vice president. Consider not just democracy but standard of living. In the 36 years since I had that conversation, Nicaragua has been under the rule of socialist Daniel Ortega for about half that time, and Zimbabwe under Mugabe for the entire period. Nicaragua’s GDP per capita is the lowest in Central America – far below market-liberal Costa Rica and 50 percent below war-torn Honduras. Zimbabwe is even poorer. These aren’t just numbers. They indicate how people live. They tell us that in 2018, in a world growing rapidly richer, where poverty is plummeting, people in these countries remain desperately in need of businesses, jobs, food, and medicine. I wonder if my socialist interlocutor from 1982 is still interested in the socialist experiments in Nicaragua and Zimbabwe. I am saddened to report that my dear friend Andrea Millen Rich died this morning at her home in Philadelphia at the age of 79 after a 19-year battle with lung cancer. She was, among many other things, the proprietor of Laissez Faire Books and the wife for 41 years of Howard Rich, the Cato Institute’s longest-serving Board member. For more than 40 years Andrea was at the center of the libertarian movement, a mentor, counselor, friend, supporter, facilitator, networker, and gracious hostess to hundreds of freedom lovers – young, old, well-known, obscure, successful, down-on-their-luck, didn’t matter. She was the first chair of the New York Libertarian Party in 1973-74. The vice chair was Howard S. Rich, whom she soon married. From 1974 to 1977 she was vice chair of the national Libertarian Party, and in 1980 she played a key role in developing television advertising for the campaign of Ed Clark, the Libertarian presidential nominee. Andrea often negotiated with publishers to make books more affordable, and some books only found publishers because Laissez-Faire could guarantee an audience beyond the small academic market. She even taught me how to negotiate with publishers. 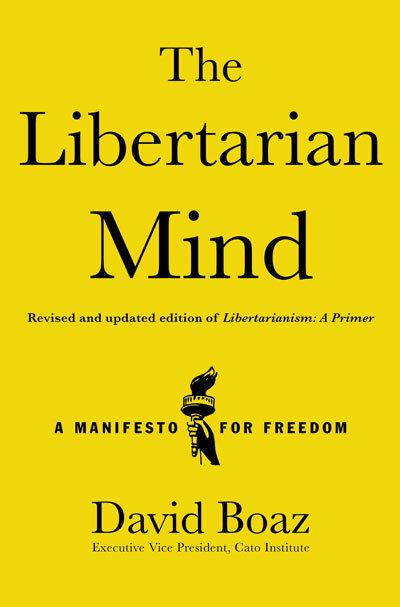 Through her work with Laissez-Faire she became friendly with leading libertarian writers including Milton and Rose Friedman, Robert Nozick, Thomas Sowell, Nathaniel Branden, Thomas Szasz, Charles Murray, Richard Epstein, David Kelley, and Margit von Mises, widow of economist Ludwig von Mises. As president of the Center for Independent Thought, the parent organization of Laissez-Faire Books, she also launched and managed the Thomas S. Szasz Award for Outstanding Contributions to the Cause of Civil Liberties and the Roy A. Childs Fund for Independent Scholars. CIT’s biggest project was Stossel in the Classroom, which repackaged ABC News and Fox Business videos on economics and public policy by John Stossel for classroom use. The videos have been viewed by tens of millions of high school students – according to Stossel, reaching more people than ABC News and Fox News. Along the way she also helped to found the Center for Libertarian Studies in 1976 and served on the boards of the Foundation for Economic Education, the oldest free-market think tank, and the Atlas Network, an international association of think tanks. She traveled as far as Russia and Kenya to meet libertarians and spread the ideas of freedom. Andrea Millen was born February 8, 1939, to the late Louis and Vera Millen of Johnson City, Tennessee. She graduated from Science Hill High School and attended the University of Alabama. After she got a summer job at CBS answering fan mail for Mighty Mouse and Heckle and Jeckle (“my handwriting was perfect for it, they said”), she never went back to school. For 18 years, she worked in television, including for Sid Caesar, Joe Pyne, and the NBC News election unit. She lived most of her life in Manhattan and Orangeburg, NY, but moved to Philadelphia in 2009. She is survived by her husband of 41 years, Howard Rich, her sister Elaine Millen of Charlotte, NC, stepsons Joseph Rich and Dan Rich, Dan’s wife Maureen, and granddaughters Cati and Samantha.